Democrats, however, are unable to move on. For almost two years, they’ve staked their political hopes on Special Counsel Robert Mueller delivering a bombshell of a report. 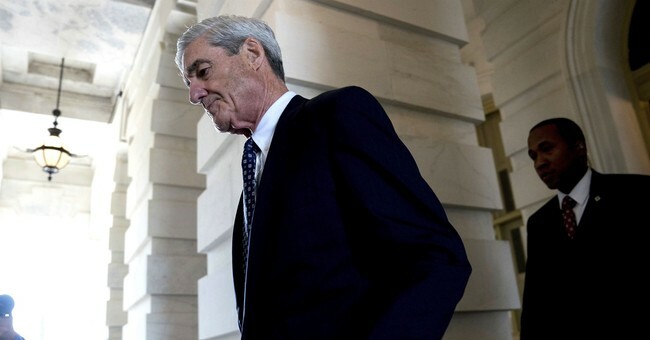 Knowing that he delivered only a dud, they’re now laying the groundwork for false accusations that Mueller’s real findings are being covered up. Shortly after their carefully constructed Russiagate narrative crumbled in front of a national audience, Senate Minority Leader Chuck Schumer and House Speaker Nancy Pelosi took to the airwaves and made an impossible demand of Attorney General Bill Barr. Never mind that the Special Counsel regulations place almost all authority over the contents of the report in Barr’s hands. Never mind that the President, Barr, and the entire House GOP Conference have all affirmed that the report will be made public. Chuck and Nancy say they still aren’t satisfied. Their outrageous demand is all the more galling because the Democrat leaders know that Attorney General Barr can’t possibly fulfill their request. Every word of the report? All related documents? They know he can’t do that. There are laws and DOJ regulations. Barr is not allowed to release classified information, for instance. It doesn’t matter that the information is in Robert Mueller’s report — it still can’t be sent to 535 Members of Congress and their staffs, some of whom will inevitably release it to the public. Additionally, grand jury testimony and materials are sealed forever. That’s an ancient and sacred principle of Anglo-American law, and it doesn’t change just because the Mueller Report didn’t turn out the way the Democrats wanted. Finally, it is longstanding Justice Department policy never to release derogatory information about people who are not being charged with breaking the law. It’s a foundational principle of professional behavior for federal prosecutors, and it’s a critical protection against abuse of power. The justice system carefully defines and protects the rights of the accused, but the court of public opinion does not, so if a prosecutor doesn’t believe the evidence would lead to conviction in a court of law, it’s downright vindictive to turn that evidence over to the unrestrained and ill-informed interpretations of the general public. That’s why Hillary Clinton supporters were so upset with James Comey in 2016. Bill Barr, of course, is a man of integrity who has spent much of his career in the Justice Department. He’s not going to yield to the Democrats’ unlawful demands. He’s going to release a full Mueller Report, but he’s not going to break the law or DOJ regulations when he does. Democrats are well aware of that. Their demand that Barr release “the whole report” is just an exercise in goalpost-moving. They’re setting up an impossible standard that they know full well can’t be met so that when Barr inevitably has to redact certain information from the report he sends to Congress, they can falsely accuse him of a cover-up. Some of the leading contenders for the 2020 Democratic presidential nomination are already hinting they’ll go along with this disingenuous tactic, as well. Elizabeth Warren and Bernie Sanders are all-in on demanding the “full” release. Kamala Harris went even further, calling for Barr himself to testify about how his adherence to the DOJ’s regulations. All that their increasingly desperate goalpost-shifting is doing, though, is showing the American people that the Democrats’ concerns about collusion with Russia were a political ploy from the very beginning.